During my last semester of college, I’ve come to learn that training and exercise are what I love to do. Before graduation, I wasn’t exactly sure what I’d want to be doing for a career until I started shadowing under some trainers from DASA, Disabled Athlete Sport Association. 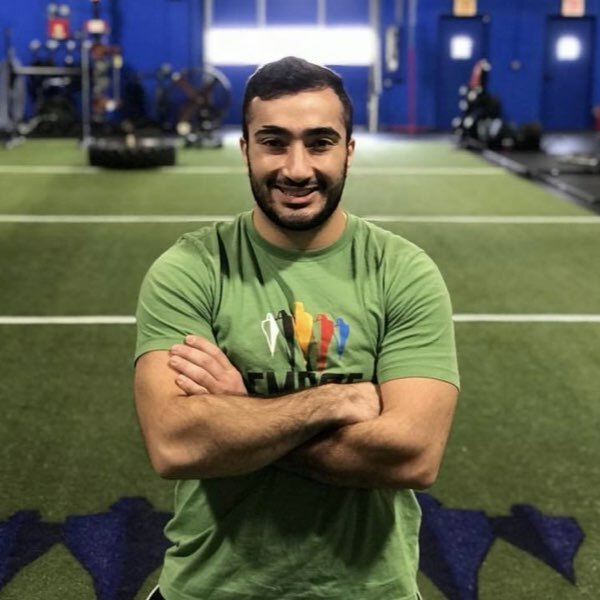 Their trainers specialize in Adaptive Fitness for athletes who may have physical disabilities and require a bit more specialized programming to fit individual needs. I fell in love with the fitness industry from there and have kept pushing forward to pursue a career as a Personal Trainer. To start my career I came on as a Personal Trainer with DASA, individually working with athletes. For more experience, I was given the opportunity to co-lead group exercises for athletes with physical/learning disabilities through Emerge Everyone. I’ve also been involved in sport and exercise for most of my life, including playing for Lindenwood University’s D1A Rugby program, training with US Collegiate All-American Rugby Coaches, being apart of multiple National Champion runs. I strongly believe that what you give is what you get, keep pushing forward.